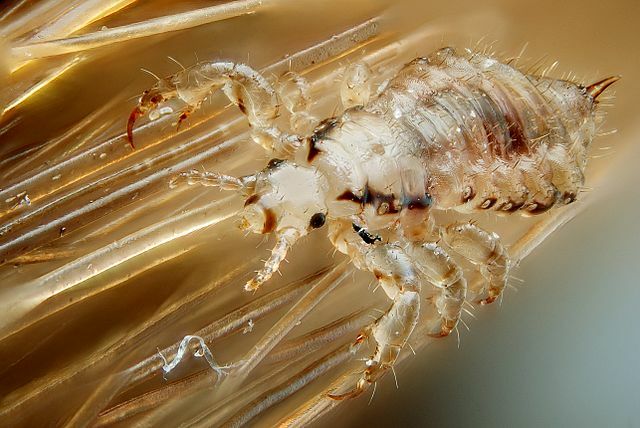 Wonderboompoort police in Pretoria yesterday issued an urgent appeal to South Africans to discontinue use of an oral head lice treatment sold under the name “Beatle Juice”, as it contained an ingredient used in agricultural pesticide. The appeal came after the arrest a 40-year-old man for dealing, spreading and packaging of an unregistered medicinal product in terms of medicine control laws. He was found in possession of a large container of a milky substance, which he had allegedly been marketing as a means to kill head lice in children. “Beatle Juice”, in high demand with teachers, creches and parents, is administered orally by removing the needle off the packaged syringe and squirting the bitter liquid into the child’s mouth, whereafter it enters the blood stream, Wonderboompoort police spokesperson Warrant Officer Wanda Olivier said. She said information led police and Department of Health law enforcement officers to an address in Daspoort on Friday, where the substance was believed to be packaged and distributed. Police ordered 20 units of the substance in a sting operation. Upon searching the premises, an unlabelled container of the liquid and drawn-back syringes, complete with needle to keep it from spilling out, were found. “It was confiscated to be tested,” said Olivier. Warrant Officer Jacques Oosthuizen said the suspect was unwilling at first to divulge the ingredients used in the mixture but that he later wrote down the name: “Regent 200 SC”. “A Google search showed the active ingredient is likely Friponil, a poison used in the agricultural and veterinary industries. It is not for human use,” Oosthuizen said.